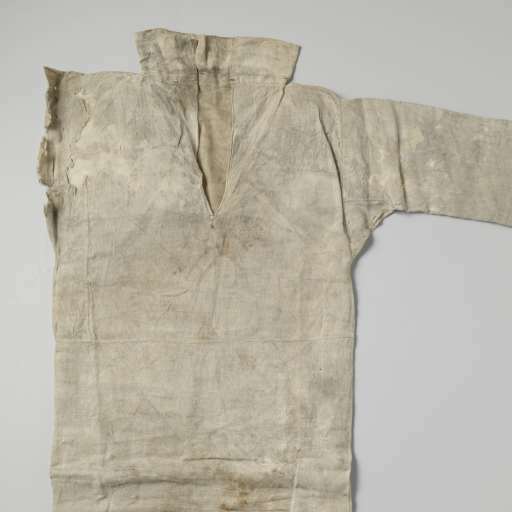 All men and boys wore shirts next to the skin, it was thought to keep the body clean and protected the outer clothing from oil and sweat. The quality and size of the shirt depended on the status and wealth of the wearer. 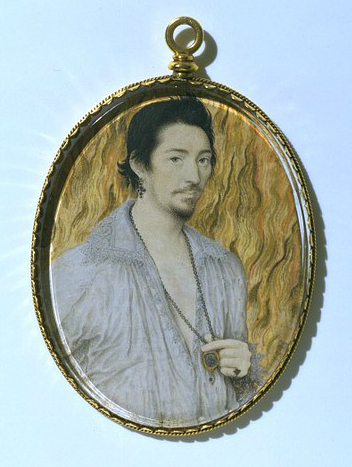 Extant examples are few and far between and tend towards the gentry, ditto illustrations. All were made with a series of rectangular and square pieces of linen, to ensure the best use of the fabric available. See books below for patterns. 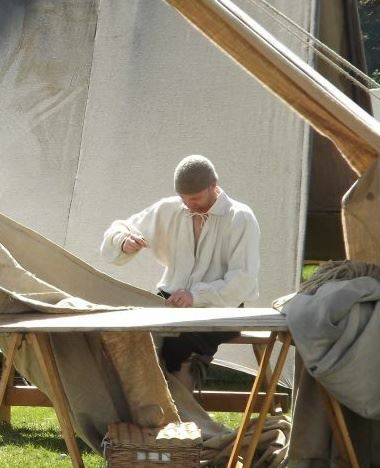 ‘Perfect Linens’ ­­ (40 pages), Shirts and smocks from medieval to 19th century. Very easy to follow instructions. Includes stitching instructions. Available direct from Sarah Thursfield, highly recommended. 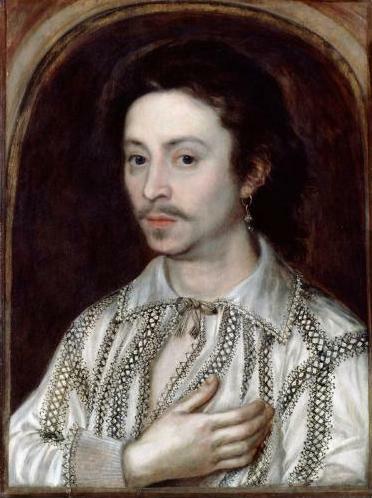 Patterns of Fashion 4: The cut and construction of linen shirts, smocks, neckwear, headwear and accessories for men and women c. 1540 – 1660 Janet Arnold. Macmillan; 2008. ISBN-10: 0333570820. For various shirt patterns. 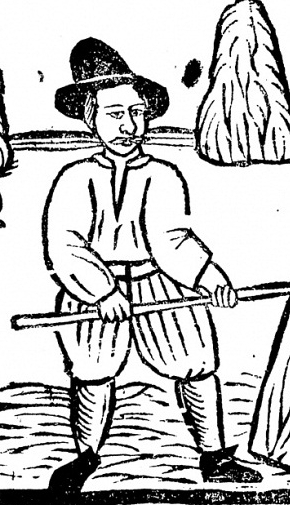 Detail of print of haymakers from The Roxborough Balads. 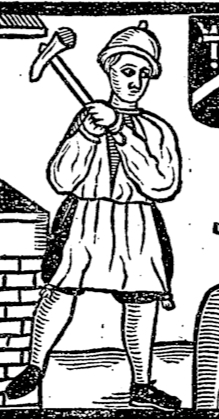 Labourer in shirt and breeches turning hay. 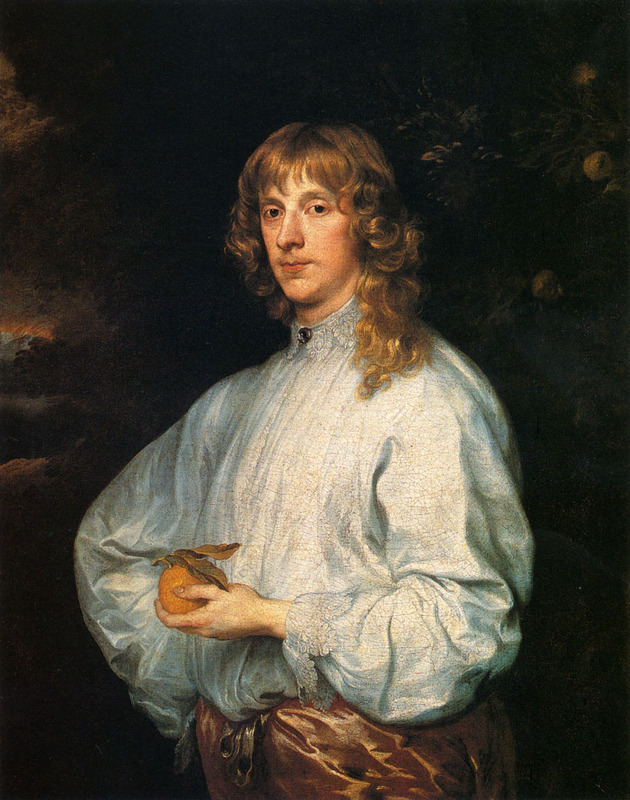 James Stuart Duke of Richmond and Lennox, Van Dyck, 1634.